Find Infiniti G35 Parts and Accessories at UNeedAPart.com! Sometimes, it can be difficult to find the parts you need, even if the part is a small or simple piece of your vehicle. Unfortunately, this can especially be the case when you are looking for Infiniti G35 parts. Of course, the best way to locate hard-to-find parts is to broaden your search beyond local auto body shops and undeliverable Internet websites, and that is what really sets UNeedAPart.com's locator service apart from our competitors. We offer access to the inventories of over 7,000 parts suppliers so that finding the right Infiniti G35 parts is easier than ever before. With such a huge selection, even if some of the suppliers do not have the parts you need in stock, you can rest assured knowing that others will. 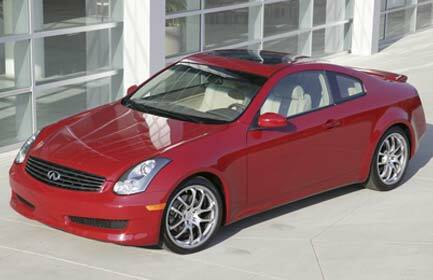 Locate Every Possible Available Infiniti G35 Part and Accessory! Much of the success of UNeedAPart.com comes from the fact that we only deal with the best auto part suppliers in the nation. With a database of over 7,000 plus available dealers, anyone can see why UNeedAPart.com is the ultimate source for locating Infiniti G35 parts. Locate everything you need from exterior Infiniti G35 accessories to Infiniti G35 body kits -or even an entire dashboard for your Infiniti G35! Remember, no part is too small or too large for UNeedAPart.com to find it. Try our free locator service today and experience the difference that comes with true strength of selection. Finding the right Infiniti G35 parts is easy! To get started, simply use the Parts Request boxes at the top and/or side of the page. We will instantly match you with auto parts dealers that meet your search criteria. UNeedAPart.com helps you find the used auto parts you need in no time!